We want our schools to be welcoming places. We care about your children and will do our very best meet their needs every day. We create and promote a respectful learning environment in which all individuals can grow and reach their greatest potential. We plan, we do, we study and then we act on what we have learned from our past behaviors or actions. A rich, culturally sensitive, inclusive learning community benefits us all and builds community strength. We are community leaders, and we partner with other government agencies to be efficient and effective stewards of our resources. These values guide our decisions. Pillar 1: Our schools produce good citizens. Pillar 2: All students graduate and go on to successful post high school outcomes. Pillar 3: We view our schools through the equity lens. Pillar 4: Continuous improvement principles are used system wide. Pillar 5: We build efficient operations. Learning starts in infancy, and essential brain development that is critical to school and life success takes place in the first four years. A loving and nurturing family. It is critical to provide all children with rich early learning. 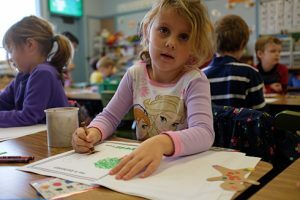 GAPS is partnering with early learning providers including Headstart, Linn Benton Lincoln ESD and other private preschool providers to insure that all of our children from birth to age 5 have access to quality early learning opportunities. Please contact the GAPS district office or the Linn Benton Lincoln Education Service District to find out about programs for early learning. GAPS uses a medical model for student growth and learning that is based on a medical “Triage Model,” called Response To Intervention (RTI) and Positive Behavior Intervention Supports (PBIS). The behavioral interventions in this model are based on what would be most effective for each student. This work is supported by research-based models from the University of Oregon. We are excited to put these supports in place to serve kids in an individual manner and focus our resources on high-leverage practices that lead to great learning outcomes for all students. Our high schools have some of the highest graduation rates in the state: 98% at West Albany High School and 85% at South Albany High School. We teach students that high school graduation is a necessity, but it is no longer enough. Students must be successful after graduating, too. This could include a college degree, a community college certificate or Associates Degree, a vocational trades program, or military service. 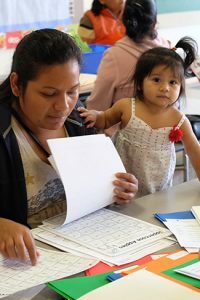 We know that in order for a student to be able to obtain a “family wage job,” they will need advanced training or education beyond the high school level. Kids need to explore a variety of possible post high school options during their time in high school. 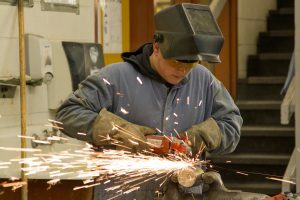 Our high schools offer an introduction to vocational education and college readiness courses.